In addition to our work vetting inductees during the year and organizing the Hall of Heroes ceremonies, we coordinate with Veterans Week parade committees for the special needs of Hall of Heroes veterans. We maintain the Military Heritage Displays in the Madison County Courthouse. This unique set of displays is composed of the Hall of Heroes display, the Purple Heart display, the Killed in Action (KIA) display, and the "All Branches Military Medals and Ribbons" display. In 2014, the Commission initiated a 50 minute historical program, The Price of Freedom Project, aimed at enlightening high school students on the heroes' sacrifice, courage and duty responsible for the freedom we enjoy. 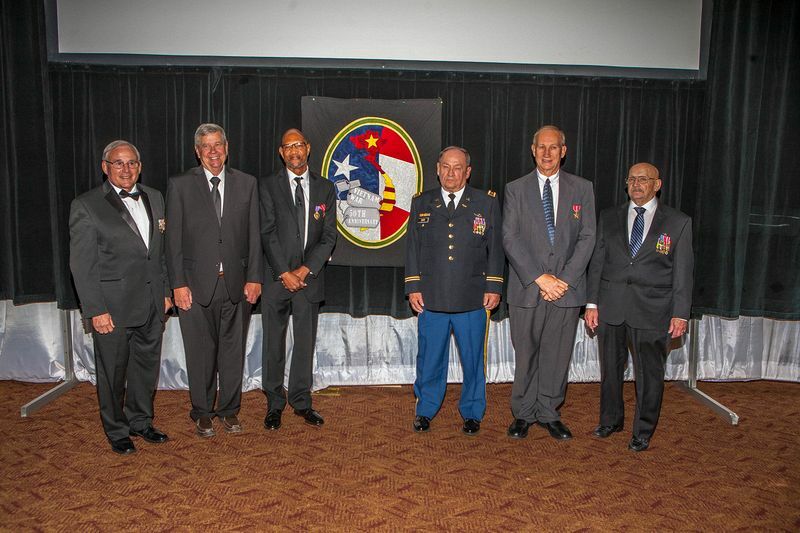 In a panel format, four to five past Hall of Heroes inductees participate in discussion with the students focused on their military and combat experiences that ends with closing remarks from the panelist and a short question and answer session. On a continuing basis, the Commission researches and seeks out past military members who have been awarded valor medals dating back to the start of the county in 1808. This research includes tracing family members in order to learn more about the heroes and to post that information on our commission website at mcmhc.us. 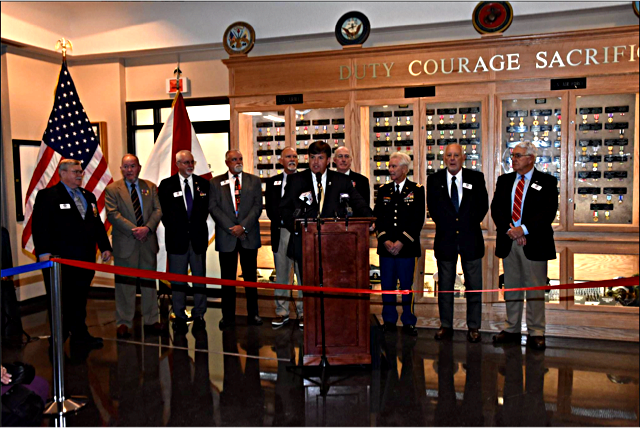 During Madison County's "Veterans Week" celebration, our organization holds the Hall of Heroes Ceremony and publicly recognizes and honors Madison County veterans who have received awards for valor. Our Hall of Heroes program during the AUSA Veterans dinner is the featured program of Veterans Week. During the year, the organization reviews and selects Madison County applicants by examining military documentation and conducting personal interviews with applicants. The week prior to the Veterans Week, the veteran inductees and their spouses / guests are treated to a buffet dinner sponsored by the organization, where they are introduced to other veterans who are being recognized and instructed on the ceremonial procedures that will take place at the Veterans Week Hall of Heroes Ceremony and dinner. During the ceremony, they are introduced to the audience, their citations read aloud by a MCMHC representative and recognized by military and government dignitaries that present them with Challenge Coins. The day of the parade, the inducted veterans and their guests are invited to the ceremonial breakfast and to ride in the Madison County Military Heritage Commission Hall of Heroes trolley provided by the city of Huntsville during the parade.